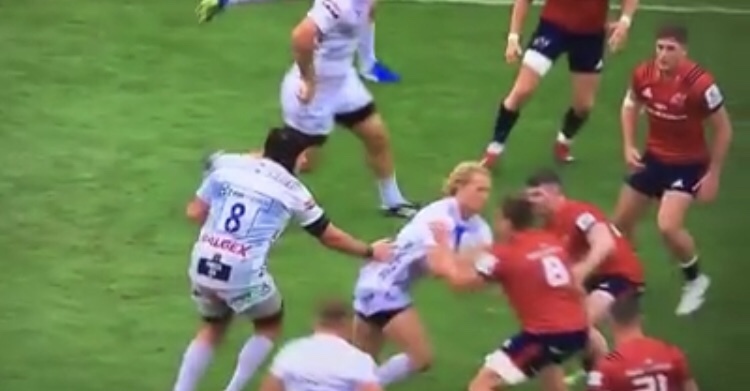 Gloucester fans were furious as Billy Twelvetrees gets a shoulder to the face from Munster’s CJ Stander with the referee seemingly turning a blind eye. No citing for either Stander or Twelvetrees from the Munster vs Gloucester match. Doesn’t change the fact Cipriani’s hit was a definite red, but it just makes it all so frustrating and inconsistent. Even IF injury or a change of heart by Eddie presents @DannyCipriani87 an opportunity…he won’t get it now after his red card. CJ Stander meanwhile…will face no sanction for this, surely worse(!?) tackle. If Danny gets a red then this gets a red. I think CJ Stander isn’t actually in the worse position of the two. The other player looks to be around the face while Stander seems to get the back. The fact that this wasn’t cited however is disappointing for consistency ! CJ Stander’s tackle on Twelvetrees was high too but no red .